I’m not sure what took me so long to visit the town of Sonoma. It’s only an hour away, but this past weekend was the first time I’d been there since I moved closer two-and-half years ago to the East Bay. I’m glad I finally changed that. Sonoma is often in the shadow of its flashier neighbor Napa, but has its own small-town charm that I prefer. Being in wine country it has plenty of wine tasting opportunities, but if that’s not really your thing there’s plenty of other things to do. Let’s take a quick stroll around town, shall we? Sonoma cheese doesn’t mess around-from classics like creamy brie to more unusual flavors like lavender jack. Make sure to snag some samples at places like the Sonoma Cheese Factory (which has free samples and cheese/wine tastings) and Vella Cheese Co. which is off the beaten path and where you can sample any of their reasonably priced cheeses. 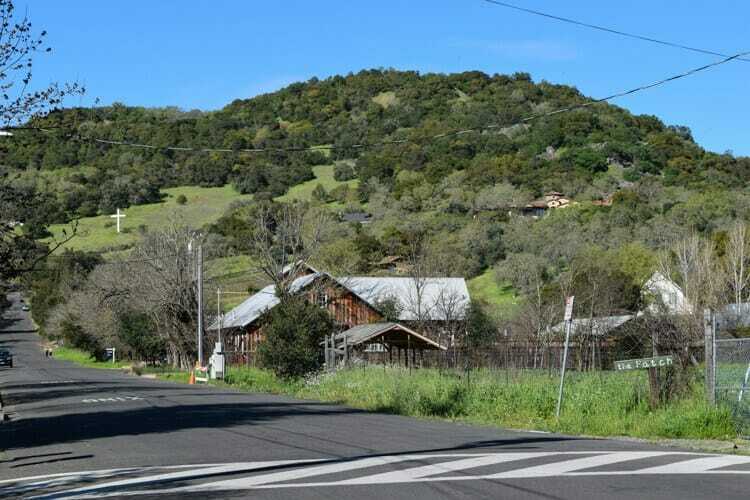 Make sure to stop by the Sonoma Bike Path, which is right next to Vella for a scenic walk back towards downtown. The day started out overcast for us, but miraculously blue skies appeared just as we arrived in Sonoma (thank you weather gods!). We decided to take advantage of the sunshine and wander around the downtown, taking detours down alleyways, browsing at Reader’s Books, and stopping by at the Basque Boulangerie Café (which I frankly was disappointed in) to grab a bite to eat. Walking through the town, it’s hard to ignore the signs of the past all around you. The first place we visited was the Sonoma State Historical Park, which featured historical buildings from the town’s Mission era. Close by on the next block there is the Mission San Francisco Solano, the last mission built in California after Mexico gained independence from the Spanish. One of my favorite activities that day was wandering around the beautiful homes that were adjacent to downtown. I loved how rural Sonoma is and that walking down the street we suddenly arrived at a pasture with beautiful Clydesdale horses and two leggy colts. As a city girl, having a taste of farm life is something I always relish in. I mean who doesn’t love that fresh country air? Sonoma itself is a town, but there is also Sonoma County, which includes popular towns like Healdsburg, Santa Rosa and Petaluma. It’s a large area, so make sure you understand the lay of the land before heading out (something I definitely struggled with). Have you been to Sonoma? Any recommendations?